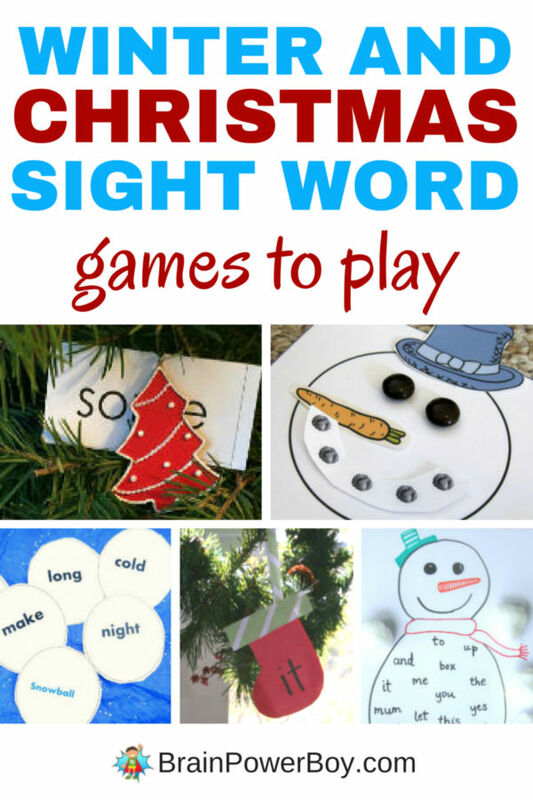 Today we are bringing you some fun Winter and Christmas Sight Word Games to play! If you have, or know of, a child who is just getting started with reading playing with words is a neat way for them to learn. 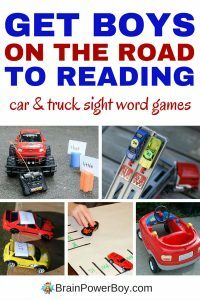 I would suggest these games for kids who are interested in specific words and are asking to learn to read. I know sight word games are very popular and these are some nice ones for the colder months. Have a word snowball fight indoors or play a hide-and-seek Christmas word game. There are many more ideas below. Don’t miss our popular free printable sight word game for another way to play. Next we have a craft activity and a game mixed together. Get ready for Snowman Sight Word Bingo! For this Gingerbread Man Cookies Sight Word Activity you pretend to be a baker – so cute. With the Read A Word – Build a Snowman you can use whatever words you like. You can get the free printable snowman game board through the link. It is very cute! My friend Crystal created a fun game to play. It is a Snowman Sight Word Race. 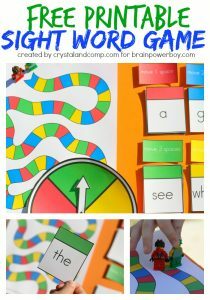 Includes free printable sight word list and game board. This Christmas Stocking Sight Word Game is easy to make. Kids hang their paper stockings on a garland and play a timed game. Here is a Christmas Sight Word 4-in-a-row Game that is similar to Connect 4 and is easy to play. Includes free printable sight word cards. Hide and Seek Christmas Sight Word Hunt. Using the words your boy wants to learn and a Christmas tree this makes for a fun activity. 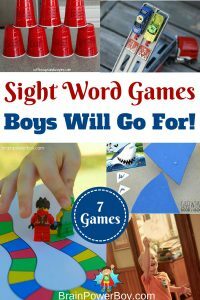 Free Printable Sight Word Game, 7 Sight Word Games to Get Boys On the Road to Reading and Sight Word Games Boys Will Go For. Thank you so much for stopping by and for taking the time to leave such a nice comment. I’m glad these will work for your homeschool. I’m glad to hear from you. I love these activities! I used to teach 7th grade language arts and I have to say, that snowball activitiy were popular to my teenage students as well (I just had to be careful with setting up ground rules–like no pelting or getting on furniture to “snowball” someone). What a perfect way to learn sight words, be festive and also be tactile with the kids. Bravo for this list, Sheila! I’m so glad you shared this with us on #SHINEbloghop this week. It’s great to see such a fun educational posts in our set of links. I’m so happy you stopped by. Thank you for the nice comment – you are so sweet. Oh, I can see why you had to set a few guidelines with the snowball activity at that age. I used to work in a middle school 😉 You have a great weekend as well. lol – yeah I think that is an all-around favorite Emma. So many great games to choose from. My daughter is learning sight words right now. We’ll have a great time trying these out! Thanks Susen, I’m so glad you and your daughter will use them.